festivities over many thousand years. joy, celebration of nature and the environment. 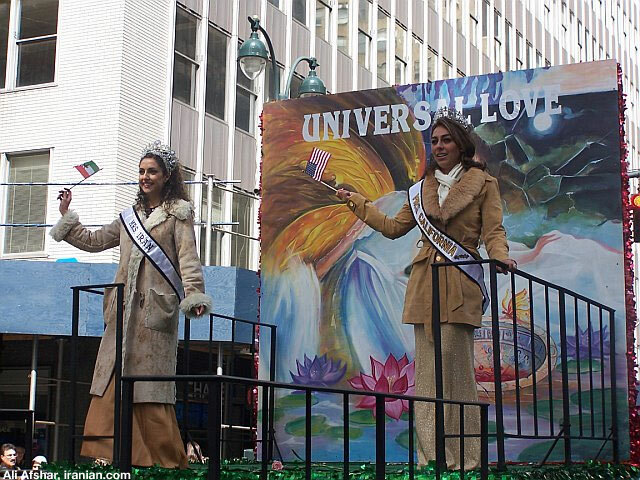 In a few weeks, and on the advent of spring, Nowruz, the New Year of Iranians, will arrive. 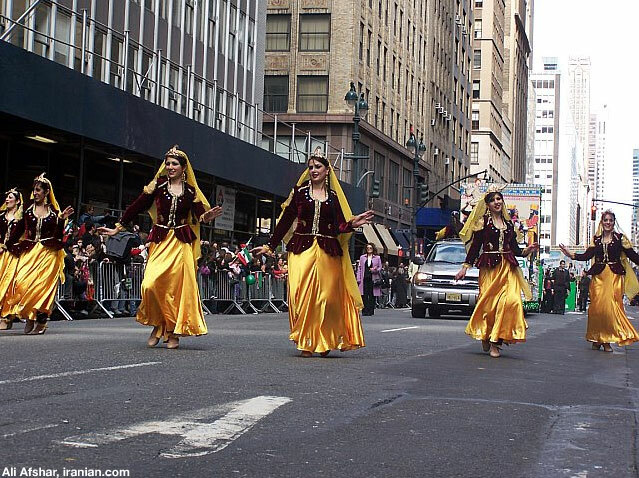 This is an ancient Iranian festivity which is still observed by all Iranians, as well as many other nations that once belonged to the Persian Empire. Numerous natural, social and political incidents have not been able to wipe this profound occasion from the Iranian culture. The reason for this persistence lies in the fact that Nowruz is based on the central ideas of Love, Light, Development, Humanism and Peace. One of the ancient locations that housed such great ideas was the Pasargad Plain, the very place that gave birth to the idea of Human Rights and initiated the history of Iran on such a proud foundation. This great place is now in danger of being wiped from the face of the earth due to the imminent flooding of a dam that has been built right in the heart of Bolaghi Gorge and Pasargad Plain, threatening to harm the mausoleum of Cyrus the Great as well � The very human being who realized the idea of Human Rights in his famous declaration 2500 years ago. 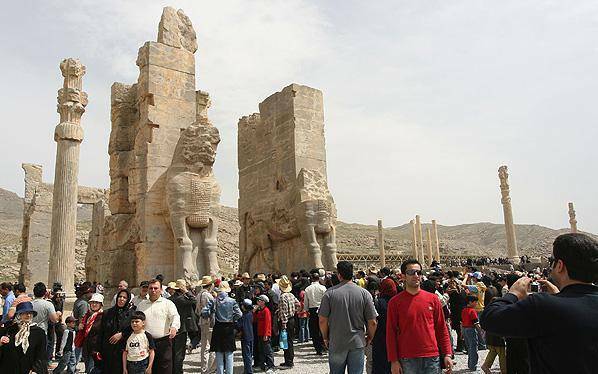 ICSASPP, that was set up to prevent such a disaster, named the previous Iranian year as the "Year of Pasargad" in the hope of attracting the attention of people all over the globe who believe in the importance of cultural heritages of nations, as well as the responsible world organizations, to this cause. 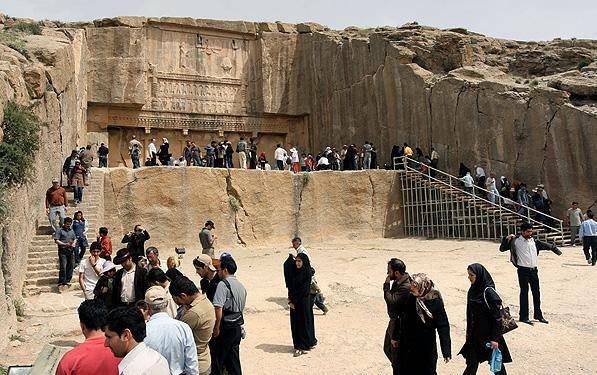 Now, getting closer to yet another Iranian new year, the danger still exists and the project of the destruction of the Iranian cultural heritage is still on the table. 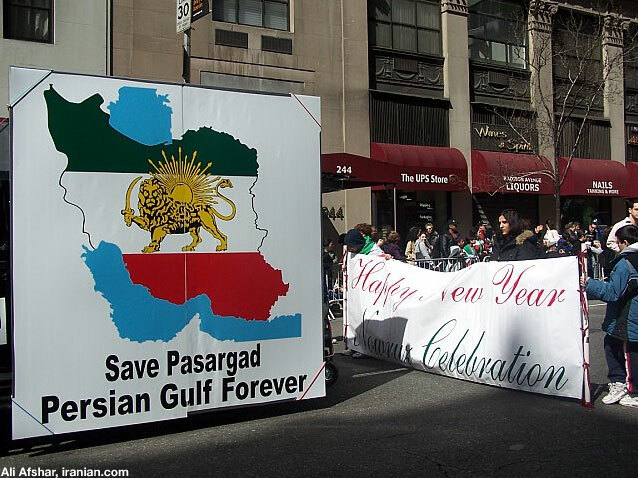 It is based on this real threat that ICSASPP has decided to name the new Iranian year as the "Year of Pasargad" again, asking all Iranians and non-Iranians who oppose such uncivilized action to elevate their endeavors in this direction by helping our Committee in whatever way they can think of. We wish everyone a very happy "New Year of Pasargad" - a year that could see the eradication of such unwanted threat to the Iranian ancient heritage. Who carved the Suez Canal, giving commerce speedy wings? And what of Marathon, Thermopylae, and Salamis? Did the Greeks truly receive such bliss? So answer this, was Alexander truly Great? Now who were the barbarians, the Persians or the Greeks? Who could forget Ferdowsi, the greatest poet ever? 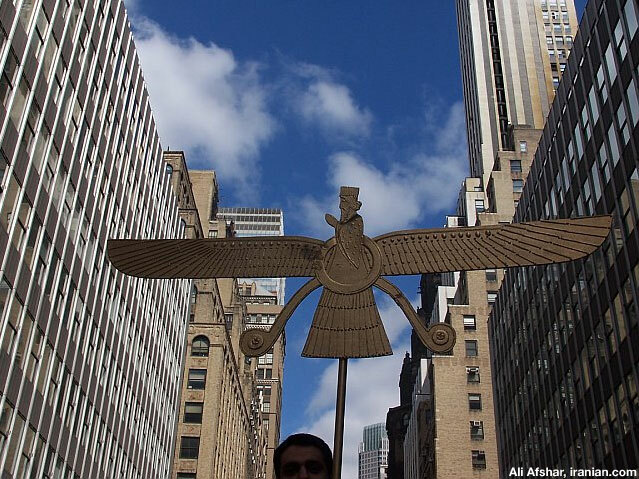 Will faravahar�s wings expand, will Iran soar that high? 1. Cyrus the Great (585-529 BC), is the founding father of Persia. 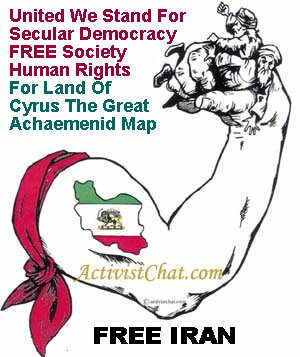 ActivistChat members admire Cyrus The Great as the greatest liberator of all time for defining the First Declaration of Human Rights over 2500 years ago and the humane treatment of vast empire he ruled. Professor Richard Frye of Harvard University said; "Surely the concept of One World, the fusion of Peoples and Cultures into oneness was one of his important legacies". 2. 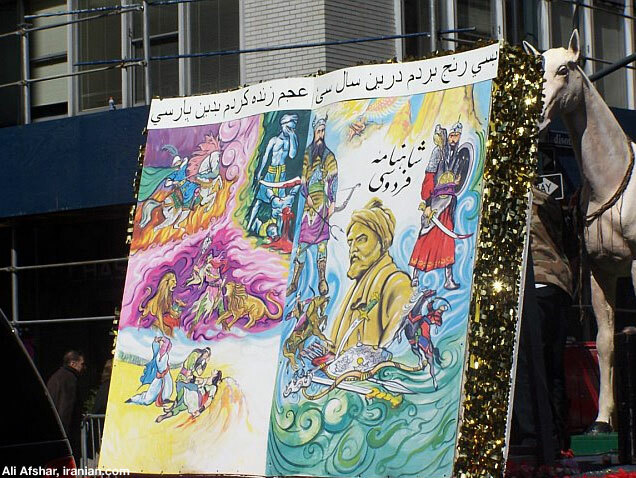 Ferdowsi is the father of Iranian Renaissance, neo-Iranian cultural awareness, and the Shahnameh is credited with the revival of Iranian identity. 3. 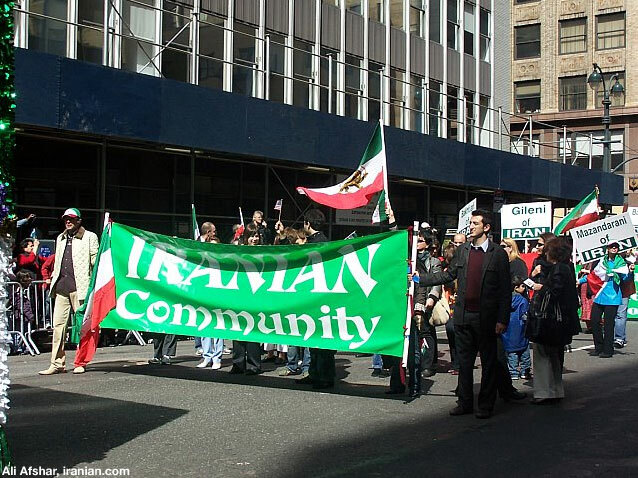 Being Iranian is defined by a state of mind, not by a place of residence. The barbaric Islamist mullahs and their mercenaries presently ruling Iran are not Iranians and currently Iran is under occupation of Islamic Fascists. Iranians are proud spiritual descendants of King Cyrus the Great, the author of the first charter of the human rights. 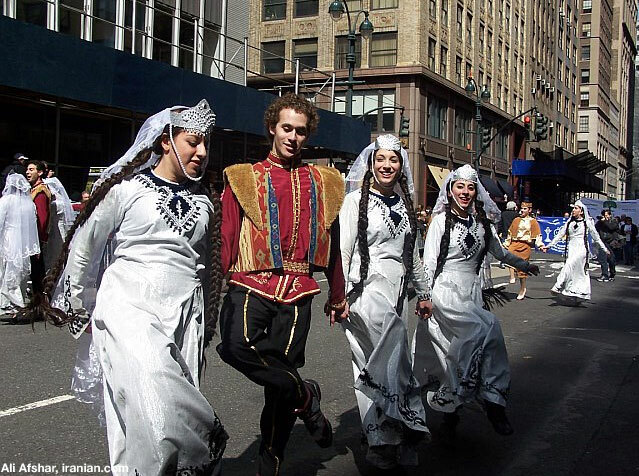 Some of Cyrus� children live in the patch of land called Iran. The overwhelming majority�free humans with human beliefs�live in every country, city, and village of the earth. c- Have a Free Society purpose d- Have a primary effect to increase freedom at global level. e- Have the element of War Of Ideas to expand public awareness, education and expansion of truth. 5. Our vision of Greater Middle East is based on Cyrus The Great Unity vision and referred as CU. In the past 2500 years of the history of Greater Middle East the only time that we have seen relative peace and prosperity was during Cyrus The Great and Achaemenid Empire era and some of the worst bloodshed happened after creation of Islam 1400 years ago. The Iranians regarded Cyrus The Great as The Father, the Babylonians as The Liberator, the Greeks as the Law-Giver, and the Jews as the Anointed of the Lord. Reject any Religious, Ethnic cleansing and religious parties for creating division and partition. 6. The "War on Terror" which is a subset of "War on Taazi" UNWINNABLE and the world peace can not be achieved as long as the Unelected Taazi Islamists Terror and Torture Masters are in power in Iran. The TAAZI terror state and fear society can not create peace and stability. 7. Iranian people can decide about Nuclear Energy, Nuclear Research and Atomic Bomb after the regime change when they have established stable secular democracy and FREE society until then Iran should avoid any kind of Nuclear research program, resulting to acquire Atomic Bomb, under Islamist Taazi occupation and control. 8. Territorial integrity and national sovereignty of Iran. 9. Complete separation of religion from the State. 10. Acceptance of the Universal Declaration of Human Rights. 11. Free, open and democratic referendum to elect the type of the new Government of Iran in the post-IRI era. 12. Work within high standard of code of ethics not to fight with other political groups or fellow FREE Iran Activists unless they are violating one of the key principles or moving against the concept of Free Society and secular democracy. We thank all compatriots and organizations who contributed for defining part of above Guideline Framework for Human Rights, Regime Change in Iran, Free Iran, Free Society and Secular Democracy .
. . . 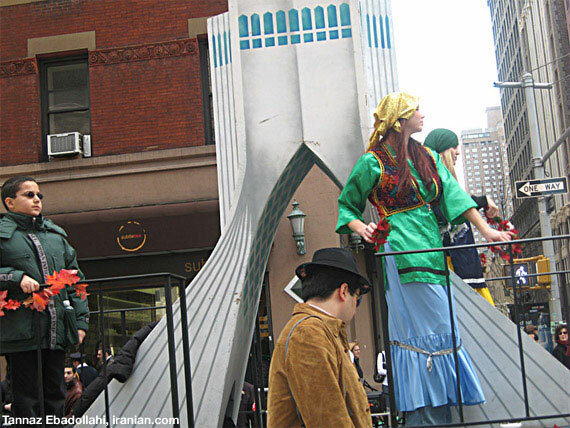 The Persian New Year, Norouz, reminds us that no power can suppress or hold back the natural and fundamental desires of humans; whether they are in pursuit of happiness, bettering of lives, or finding sanctity and peace within the arms of law, order and freedom.
. . . Norouz has withstood much tumult throughout the millennia, resiliently serving as a symbol of resistance against untold assaults on our rich culture and prideful heritage.
. . . 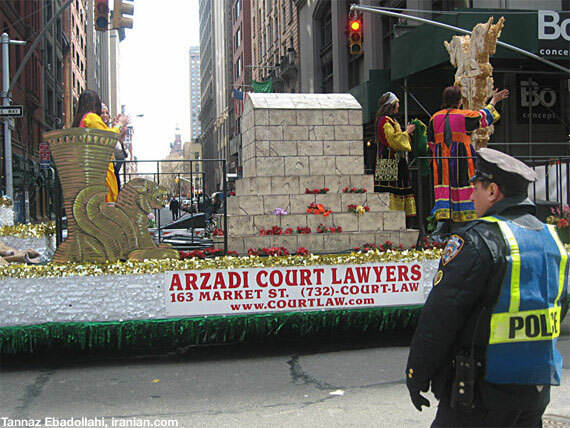 This year, however, I am deeply sorrowed over the serious and very grave circumstances facing our homeland -- to spiritedly wish you a joyous celebration of Norouz. We face real and unprecedented danger. Our homeland is confronted with an abyss, threatened with sanctions, violence and destruction, even partitioning, at the hands of adversaries, both domestic and foreign.
. . . The clerical regime, its principals, values and nature being the root cause of our national ills is faced with two choices: the continuation of its adventurism, reckless and rogue behavior; or, reversal of course, concession and compromise of its very principals. Unfortunately neither scenario bodes in favor of our national interests, for our national ills are deep and our problems vast -- all rooted in the nature of a regime whose end must come if we are to have a chance to renew our nation for a better future.
. . . We, as a nation, are endowed with an ancient heritage that has gifted mankind a great plenty: great statesmen, prominent leaders and pioneers in multitude of fields. The destiny of our nation should not be determined at the hands of an incompetent, corrupt and inept few. 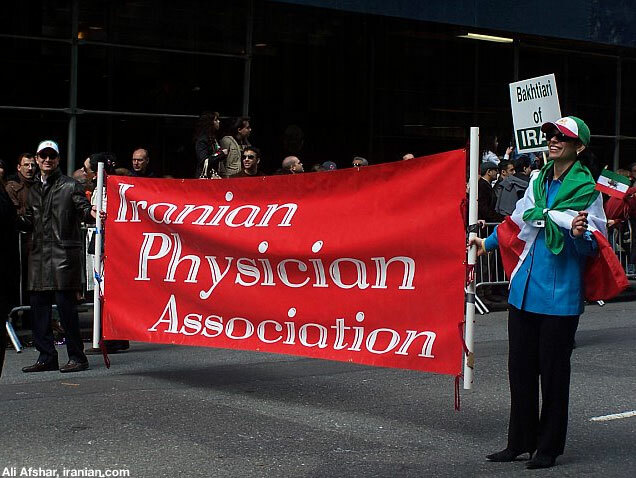 Iran and Iranians deserve better!
. . . As spring renews our day, I reaffirm my commitment to you and our homeland. Above and beyond all personal ambitions and interests we must join ranks, move forward and find our way towards the end goal. May your new-year be victorious? I send greetings to those celebrating Nowruz. 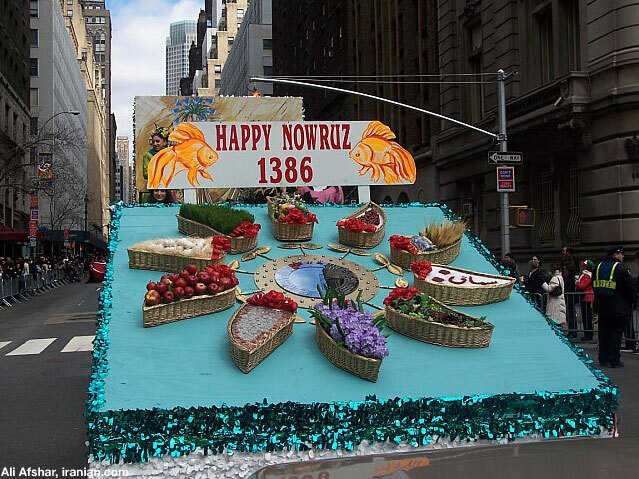 Nowruz is a special time of thanksgiving and celebration when millions of people around the world who trace their heritage to Iran, Iraq, Afghanistan, Turkey, Pakistan, India, and Central Asia welcome the New Year. For thousands of years, it has been an occasion when family, friends, and loved ones come together to reflect on the blessings of the past year and look forward with a spirit of renewal and hope. America is strengthened by the rich cultural diversity of our people, and we are blessed to be a Nation that welcomes individuals of all races, religions, and cultural backgrounds. Celebrating Nowruz honors the values of family and tradition and helps preserve the unique fabric that makes up our country. Laura and I send our best wishes for health and happiness in the coming year. نوروز جشن زندگانی نواست، جشن بهارکه پایان دورۀ سرما و خـواب زمستانی طبیعت را مژده میدهد و پیک تازگی ها، نو رویی ها و نوآفرینی هاست. نوروز یـادآور همیشگی آنست که هیچ نیرویی هرچند قدرقدرت و اهریمنی و واپسگرا قادرنیست از رونـد انسانهـا به سـوی خوشی ها و شادیهـا در آزادی و بسوی رفـاه و آسـایش در پناه قانون و داد، ممانعت بعمل آورد. نـوروز طی هـزاره هـای تاریخ و با همـۀ تلاشی که بیگانگـان برای تسلط بـرما کردنـد، همچنان مظهر پایداری، میهن پرستی و گرامیداشت آئین باستانی نیاکان ما بجا مانده است. من، بـا تـاسف بسیـار، خـود را درچنـان احـوالی نمی بینــم که جشن نــوروز را شـادمانـه بـه شما هموطنـان عزیـز شادبـاش بگویم. وطـن ما، ایـران عزیــزما، این ســرزمین اهــورایی و خاستگاه زیباتـرین و طبیعی تـرین عیـد ملی، در خطـراست. در خطر از هـم پاشیـدگی، در خطر انحطـاط و زوال، در خطرتهاجم خارجی و جنگ و جدال داخلی. رویداد شومی در زمستان ۵۷ راه براین خطرها گشود، زمستانی که هرگز بهاری در پی نداشته و ارمغـان آن درطـول ۲۸ سـال جـز نفـرت و خشـونت، جنــگ و خونـریـزی، محنت و مصیبت، طغیان جهل و زوال عقل، فساد مالی و اخلاقی، فقر، عقب ماندگی و محرومیت نبوده است. چه نظـام حاکم بـه غوغـاگـری و حادثه آفرینـی ادامه دهـد و ایـران را بـه تحریم و انــزوا محکوم کند، چه در زیـرفشار و از سر اجبار به سـازش تن سپارد و تضمین بدهد و تامین بگیرد، مسائلی که ایـران را به این غرقـاب بـلا کشانـده است حل نخواهـد شد. این مسائل، نـه سطحی و گـذرا که عمقی و بنیانی و ریشه گرفتـه از طبیعت و سرشت رژیم است. تا این رژیم باقی است این مسائل نیزبرجای خواهد بود. رژیم کنونی قادراست برای رهیدن از بحران های حاد داخلی یا خارجی، هرزمان به رنگی درآید و ترفنــدی تـازه بکـار بنـدد امـا قــادر بـه تغییـر سـرشت و طبیعت خـود نیست. حادثــه آفرینی، تفرقـه افکنی، عوامفریبی، نیرنگ بازی، بی کفایتی در حل و عقـد امور سیاسی و سامان بخشیدن به امـور اقتصـادی و فرهنـگی و اجتمـاعی و در نهـایت امـر، متزلــزل سـاختـن پیونـدهـای قومی و مذهبـی کـه ضامن همبستگی ملـی و یکپارچگـی ارضـی و امنیت مـرزی است از خصلت های ذاتـی این رژیم مایـه میگیـرد و تا وقتـی این رژیم، با این مشخصات، بـرایـران حاکم باشـد نه تنها هیچ مشکلی به طور نهـادی و بنیادی حل نخواهد شد بلکه هر زمان خطر برخورد با بحران های تازه و تازه تری وجود خواهد داشت. سرنـوشت کشــوری بـا چنـان سابقــۀ تمــدن و فــرهنگ کـه در طـول تــاریخ زادگــاه و خاستگـاه شخصیت هایـی با شهـرت و اعتبار جهانی در همۀ زمینـه ها بوده است، و امروز نیز خوشبختانه از مدیران و کارگزاران کـاردان و کارساز و کارآمد تهی نیست، نباید دردست گروهی فریبکار و فاقد لیاقت و کفایت باقی بماند. ایـران شایستـۀ حکومتی است از نـوع دیگر، حکومتـی سازنـده، حکومتی دنیا پسند بـا قواره های امـروزین. حکومتی قـادر به درک مسائـل و مقتضیـات زمان. حکومتی آینده نگـر و نه واپسگرا. اسـم حکومت مهم نیست. مهم، فطرت و خصلت و دید و تفکـر و نوع برخـورد حکومت با مسائل است. من، به نـام یک ایرانی، نسبت بـه سـرنوشت وطنـم دراین بــرهه از زمـان عمیقـا احسـاس وظیفه می کنم. وظیفـۀ خود می دانـم ایرانیـان را به حساسیت و وخامت اوضاع توجـه دهم و همـه را به همفکـری و همـراهی و همیاری برای رهیـدن از دامی که بـه هـر دلیل، همگـی درآن افتاده ایم، فرابخوانـم برای قـدم گـذاردن در راهی کـه به روشنایـی، به شکوفایـی، به بهـار واقعـی بپیوندد و زندگی شاد و پرنشاط را برای نسل امروز و نسلهای آینده مان به ارمغان آورد. فـرصت هـا بــرای حـرکت هــای سرنـوشت سـاز تاریخــی همیشـگی نیست. مـا در مرحلـۀ یک تصمیم گیـری و استفاده از یک فـرصت تاریخـی قــرارداریـم. بایــد تصمیم بگیــریم و راهمان را برگزینیم. راهی که پیمودنش به عزم جزم و قدمهای استوارنیاز دارد. من در این آغـاز سال متعهد می شوم که در این راه به عنـوان یک رهنما و ره پیما در کنار شما و با شما باشـم و به دور از هرهـدف و نظری جـز ادای وظیفۀ میهنی، تا هـرجا کـه شمـا خواسته باشید و هر اندازه که از دستم ساخته باشـد، راه را با هم ادامـه دهیم و به سوی مقصد پیش برویم. 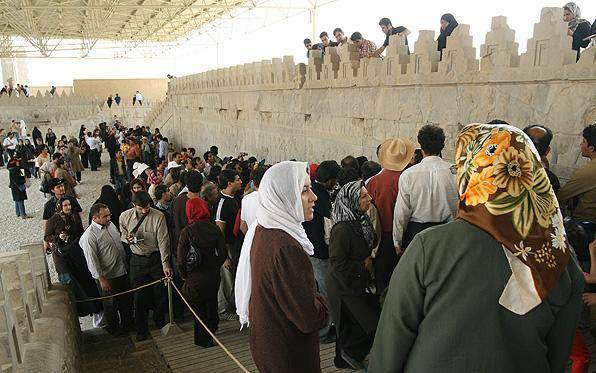 Official Sources in Iran predicted that Shiraz State will attract 4 Million visitors this year and in first 4 days of Nowruz Holiday Cyrus The Great Tomb had at least 40% more visitors than last year. This year Cyrus The Great was not alone on Norwuz Eve because two freedom-loving Iranian youth Arash and Siavash from Tehran and Isfahan had traveled over 800 Kilometers distance and reached Pasargad after 20 days of walking and by Bicycle to celebrate Noorooz beside Cyrus The Great Tomb. Cyrus the Great (585-529 BC), is the founding father of Persia. admired as the greatest liberator of all time for defining the First Declaration of Human Rights over 2500 years ago and the humane treatment of vast empire he ruled. Professor Richard Frye of Harvard University said; "Surely the concept of One World, the fusion of Peoples and Cultures into oneness was one of his important legacies". Mullahs had requested that our country Men/Women refrain visiting Takhte Jamshid & other historical monuments! The irony is that our compatriots carried out their request! Now, please look at the following photos! ملایان از هم میهنان ما خواسته بودند که به تخت جمشید و سایر ابنیه تاریخی ما هنگام نوروز مسافرت نکنند! هم میهنانمان هم بخواسته مقامات جهل و جنون گوش فرادادند و نرفتند! حالا عکسهای نوروزی 1386 را نگاه کنید! معشوق همین جا است ، بیائید ، بیائید! O, those who have been to Mecca ! Where are you? Where are you? Beloved is here, Come in, come in! امسال در شب نوروز و هنگام لحظه تحویل سال کوروش بزرگ تنها نبود . آرش و شهیار ، دو تن از جوانان دوستدار فرهنگ و هویت ملی ایران که از پنجم اسفند ماه سال گذشته در اعتراض به آبگیری سد سیوند ، حرکت نمادین خود را از تهران تا پاسارگاد آغاز نموده اند ، نوروز را در پاسارگاد جشن گرفتند و تصمیم دارند در حلقه انسانی که احتمالا روز پنجم فروردین ماه گرداگرد پاسارگاد بسته خواهد شد، شرکت نمایند . 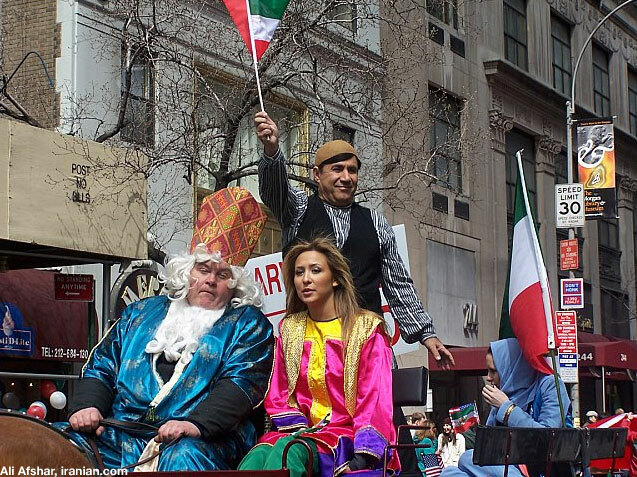 Look at these photos of New York Norooz Festivity Parade published in Iranian.com. 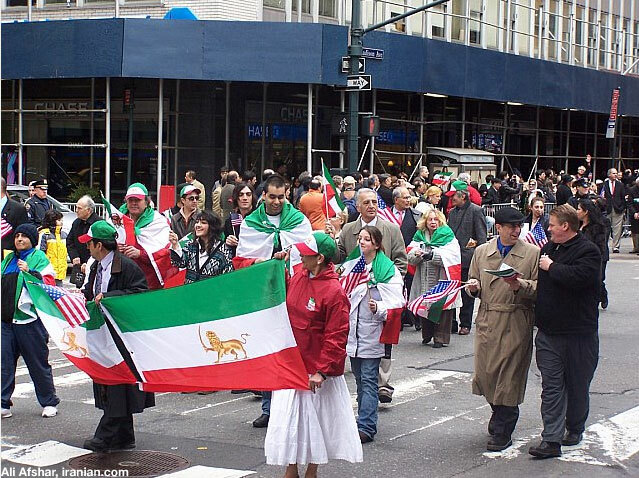 Contrary to what has happened in Tehran Jeless, the New Yorker Iranians are proud of their origin. Shame on Tehran Jelesi Iranians who have sold theire soul to the green backs!!?? 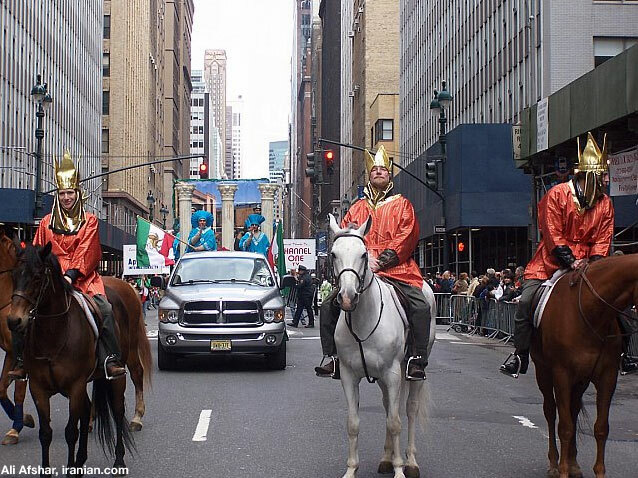 I am proud of the New Yorker Iranians. 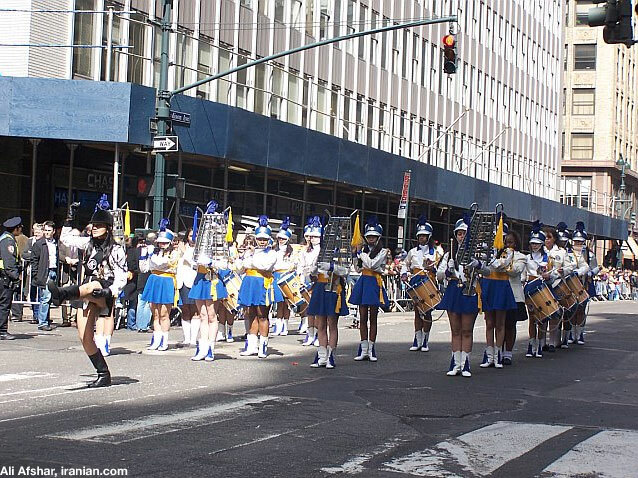 Perfect Sunny Spring weather with a mild temperature in the 50�s, enthusiastic cheering spectators, and a spectacular procession of floats and performance, brought out the best in Persian-Iranian Pride. By all accounts the spectacular extravaganza again surpassed last years. The historical and cultural wonders of Iran-formerly known as Persia-such as Persepolis and Isphahan, the modern monuments of Tehran, the natural beauties of the Persian Gulf, the Caspian Sea and Mount Damavand (~19000-ft high), Iran�s rich display of historical and contemporary contributions to world literature, art, architecture, science and technology were displaced on the floats rolling down Madison Avenue for almost three hours. 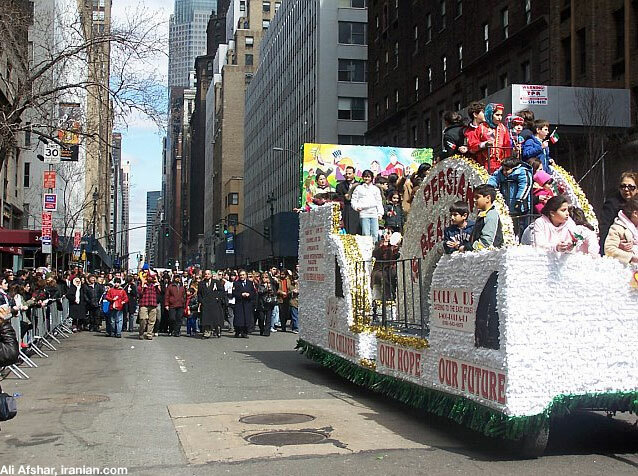 The Persian Parade commemorates in part the annual Persian New Year, Norouz, which coincides with the vernal spring equinox. 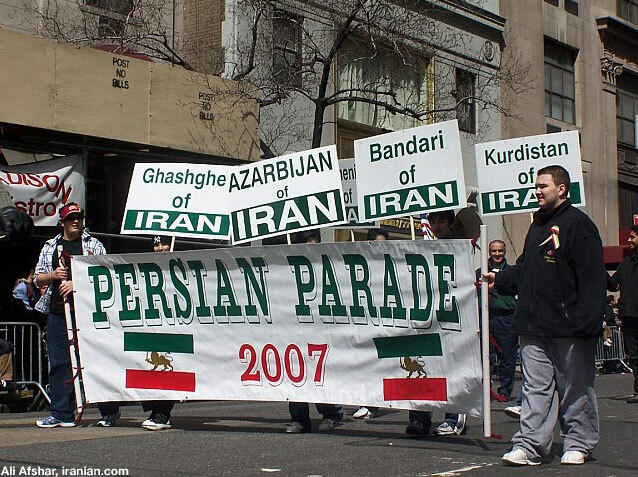 The idea of holding a parade as conceived by a few visionary Iranian-Americans just a few years back has now grown to a grassroots movement. 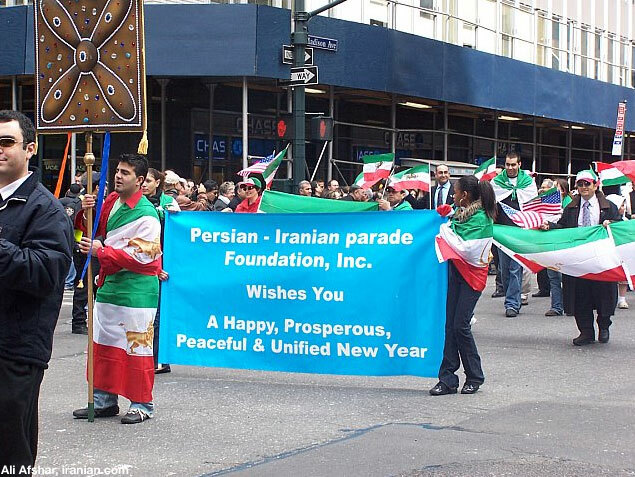 Recognizing the growth of Iranian-American community of nearly one million, they envisaged the need to organize an annual Persian Parade to build up the spirit in the community, especially for second and third generations of Iranian-Americans, while countering possible xenophobia. 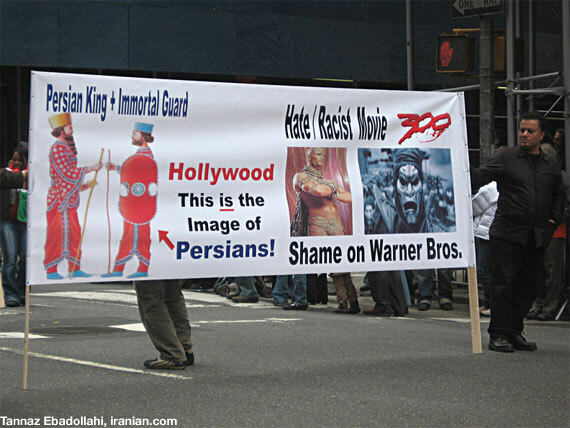 The Parade was the most effective outlet to offset the stereotypical depiction of historical Persians in the recent Movie 300. 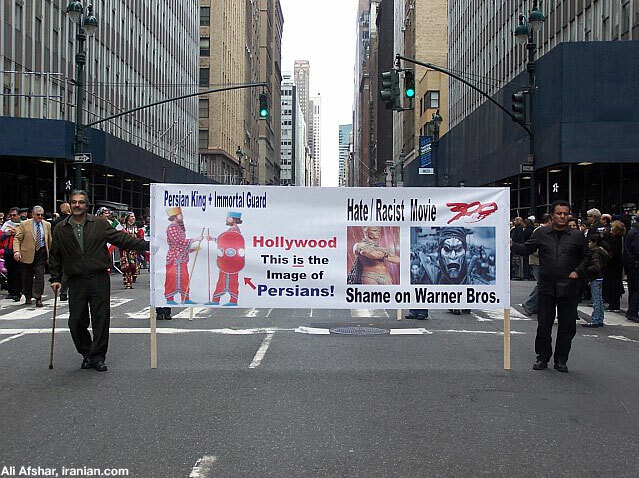 Huge signs registered the community�s concerns over the possible ramifications of the movie. 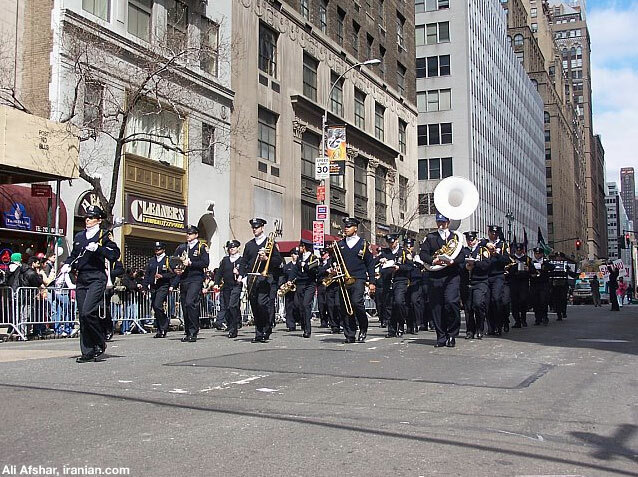 The skeptics, who stayed away in earlier years, because they reckoned the Parade would be short-lived, participated this year with much applause for the hundreds of organizers and cadre of volunteers, and individual and corporate sponsors. Everyone was so gratified that an event of such majestic magnitude will be immortalized. 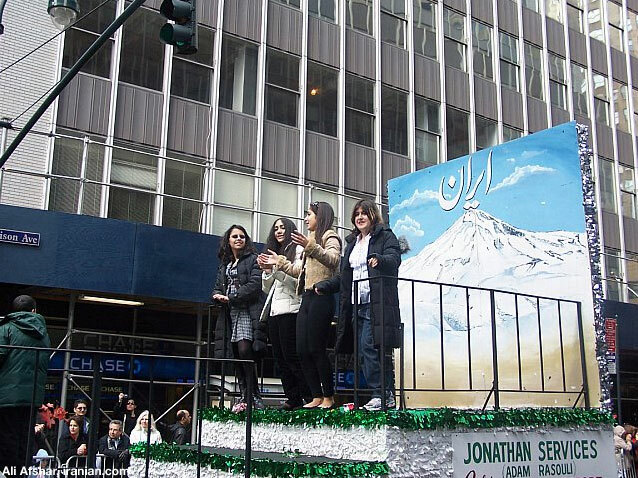 This year�s parade had attracted a huge number of volunteers, dancers, and float riders from second and third generation Iranian-Americans. 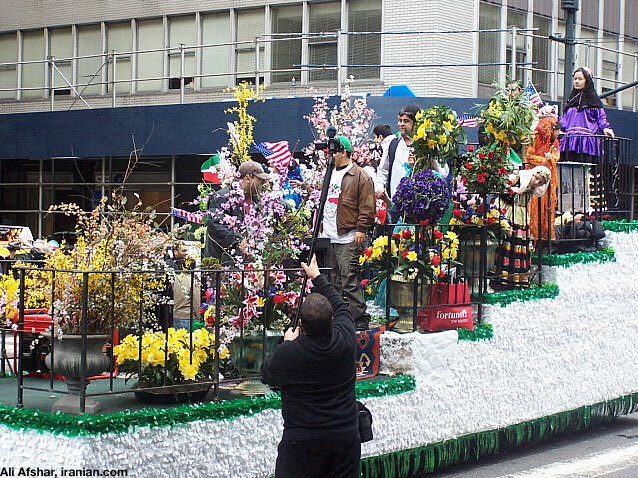 The Babak Nowruz DVD float, for instance, was a lively massive flowers bouquet with music, dancers and nearly one hundred children from toddlers to late teens, each with a huge smile extending from �one ear to the other� and with two Iranian flags painted on their cheeks. A Sofreh Haftsin was showcased. It is a traditional table beautifully decorated with hyacinth and daffodils, and seven items that begin with the Persian letter �S�. They are Sabzeh (wheat sprouts) for rebirth, Seeb(Apple) for health and beauty, Seer (garlic) for health and medicine, Serkeh (vinegar) for age and patience, Samanu (custard pudding) for affluence, Somagh (sumac) for sunrise, and Senjed (Oleaster fruit) for love. 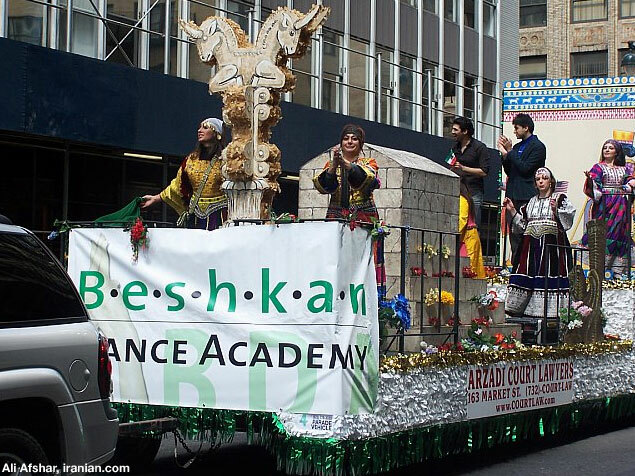 Those actively engaged in organizing the Persian Parade are already planning for next year, recruiting volunteers, seeking sponsors, and gathering ideas. The Norouz festivities, lasting for two weeks, conclude with Sizdah Bedar, an all day picnic festival in the countryside. 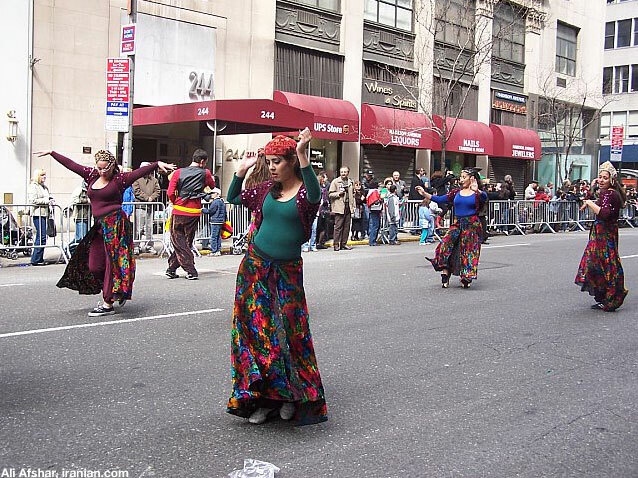 There are several Sizdah Bedar picnic scheduled in and around New York City this year including one at Bear Mountain State Park on April 1. Background on Norouz and Iranian history. 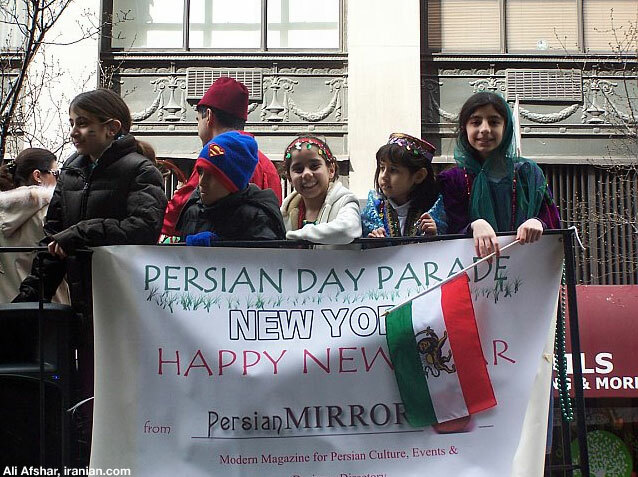 A series of excellently written articles as typified by Howard Cincotta, USINFO Special Correspondent of the Department of State titled, Iranian-Americans Celebrate Persian New Year March 20, appeared before the parade and this year�s Norouz. 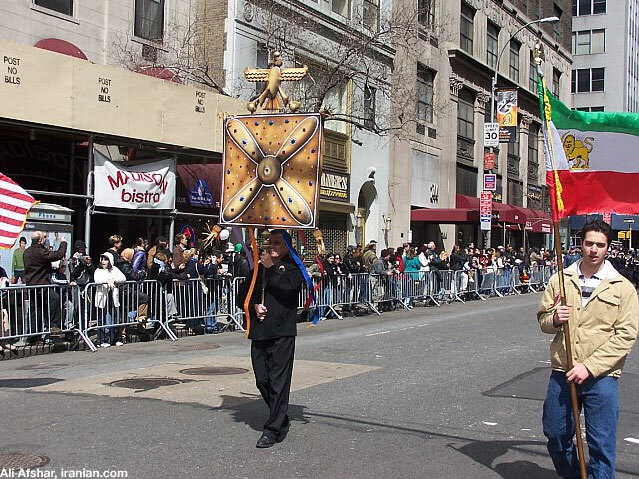 David Rahni has also provided ample articles on Norouz, the Persian Parade and other community endeavors of Iranian-Americans over the years. When I entered Babylon (on Norouz) and other lands I conquered, I did not allow anyone to terrorize the land or its people... I kept in view the needs of Babylon and all its sanctuaries to promote their well-being. The citizens of Babylon... I lifted their unbecoming yoke (slavery). Their dilapidated dwellings I restored. I put an end to their misfortunes. ...Thus said the Lord to his anointed, to Cyrus, whose right hand I have holden (Isaiah, XLV-1-3). 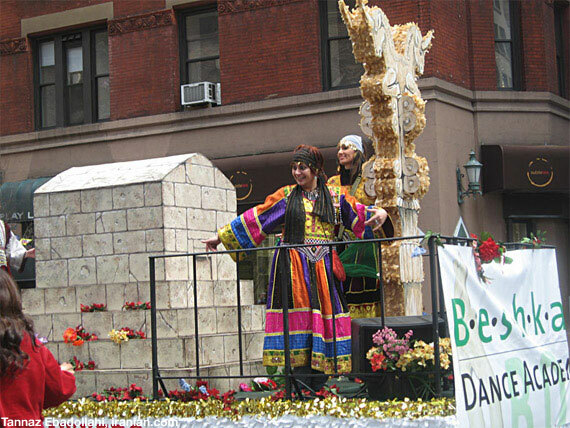 Norouz, the new day or the New Year in Persian, is the cyclical celebration of the Spring Equinox. 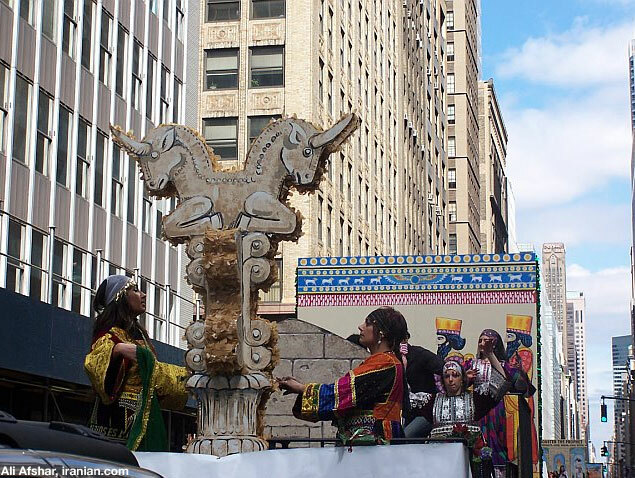 It is the most cherished and celebrated of all Iranian festivals; it has been observed by all peoples of the broad Iranian plateau for millennia. Commemorating the periodic rebirth and rejuvenation of nature, Norouz has been observed, in one form or another, since 3,000 B.C.E. by all the major cultures of ancient Mesopotamia and southwest and south central Asia, namely, the Akaddians, the Assyrians, the Babylonians, the Chaldeans, the Elamites, the Medes, the Sumerians, and the Persians. Today, Norouz is still celebrated annually in a wide arc of territory extending from the Lake Aral and the Indus River to the east, the Caspian Sea to the north, the Black and Mediterranean Seas to the west, and the Persian Gulf to the south. 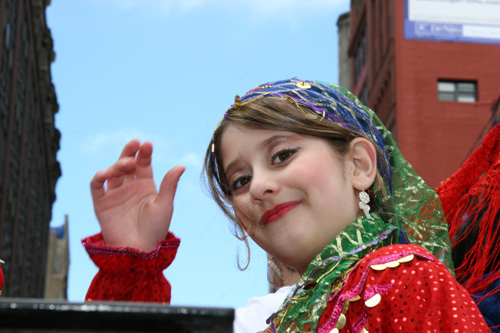 Iranian peoples (Persians, Azeris, Kurds, Lurs, Tajiks, Baluchis, Bakhtiaris and Gilanis), as well as other peoples in their proximity (e.g., Armenians, Assyrians, Afghanis, Kazakhs and Kashmiris) all participate in the Norouz celebration. It is interesting that the first day of spring was also observed by Europeans throughout the middle Ages, and the American pilgrims during the early 18th century as the "common" New Year. 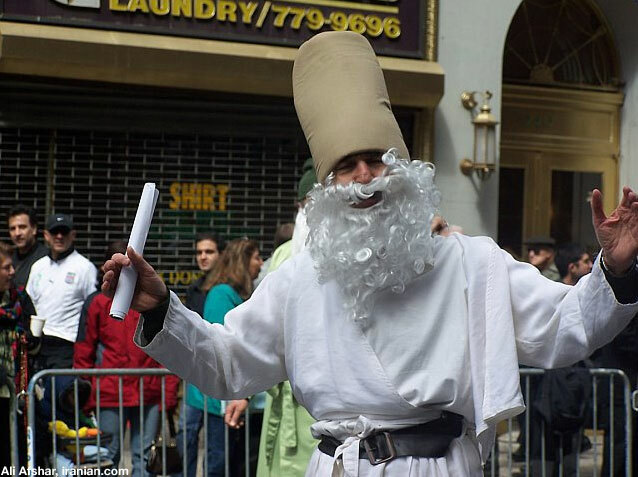 The roots of Norouz can be traced to Zoroastrianism, which is believed to be the world's first monotheistic religion. 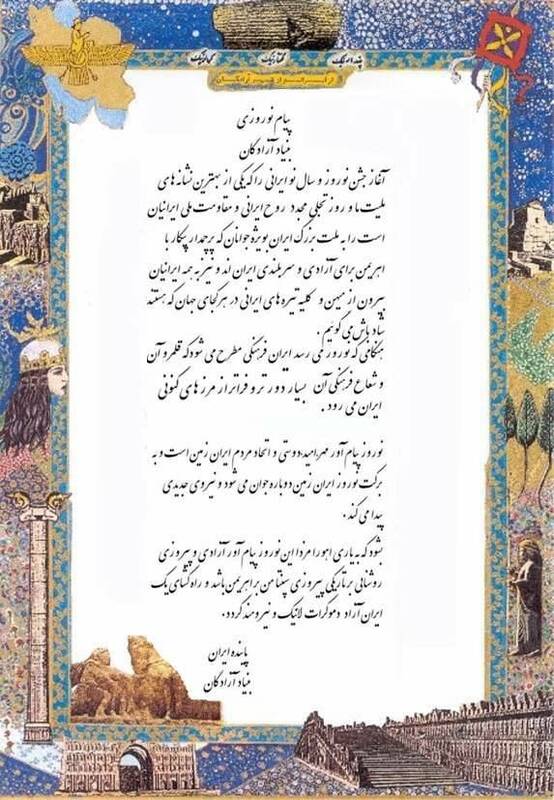 Zoroastrianism considers Nowouz as the last day of the seven day creation epoch; thus the ritual of the Haft Sin, or the seven life-related, mostly plant based, symbolic heralds, all beginning with the letter "S" in the Persian language. During the Norouz holidays, families and friends visit each other, pay their respects to the elderly, reach out to reconcile with adversaries, visit the resting places of the deceased, and make donations to the impoverished and the sick. They give and receive presents during the thirteen day period that ends on April 1st called Sizdah Bedar when everyone spends the whole day in the countryside dancing, singing and playing. 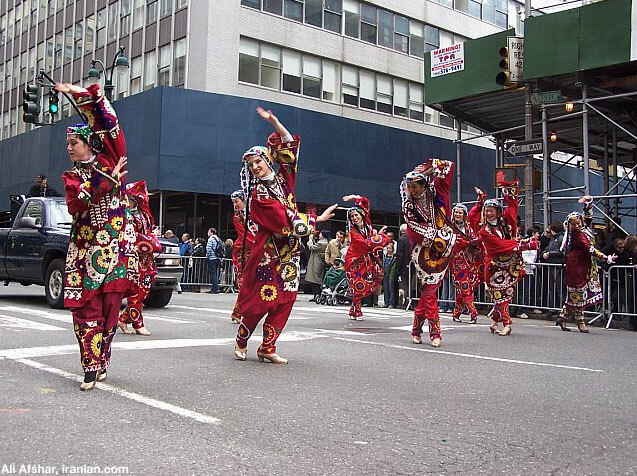 The commemoration of Norouz recalls the seventh day of creation, when homage is paid to the Creator or Mother Nature, with rest, play and party activities. 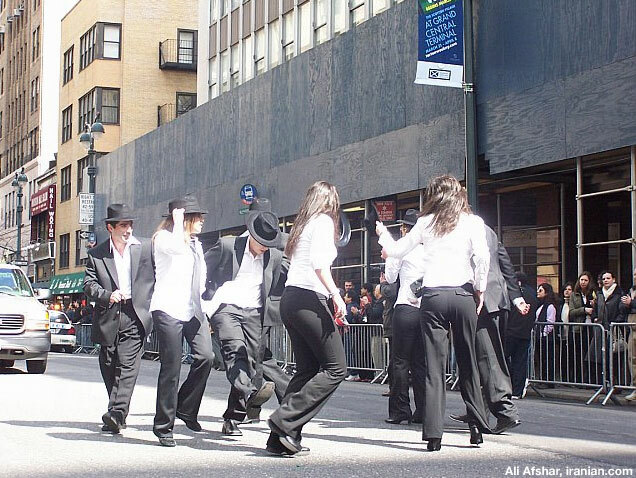 An annual Sizdah Bedar in New York area has traditionally been held at Bear Mountain State Park on or about April 1. Norouz celebrates the Lord of Wisdom and the holy "halo" fire in anticipation of the Spring Equinox. The oldest archaeological evidence for Norouz celebrations comes from the records of over 2500 years ago. An inscription on Persepolis Palace, the summer capital of the Achaemenid dynasty depicts the Persian Monarch, Darius, accepting gifts from diverse peoples who lived in a federation of territories, stretching from Asia to Europe and North Africa. His father, Cyrus the Great, was the world's first true supreme emperor who ruled his vast realm with compassion and justice, a legacy acknowledged by the Greek historian Herodotus. His declaration of Human Rights on a clay tablet is kept at the United Nations Headquarters in New York. This was interesting, specially the part with the young boy playing violin & dancing at the same time!? But more important is the event itself. 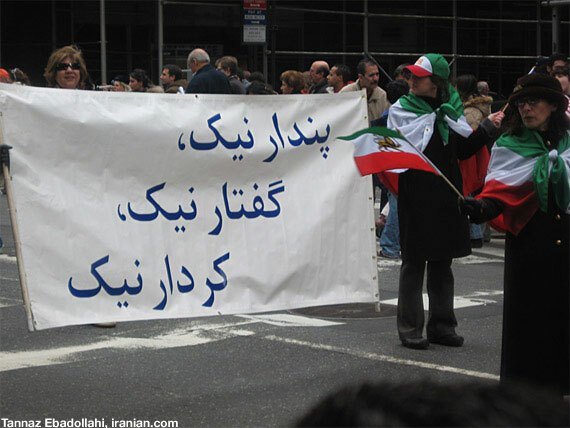 Thanks to the Iranians of San Francisco . They made it beautifully! 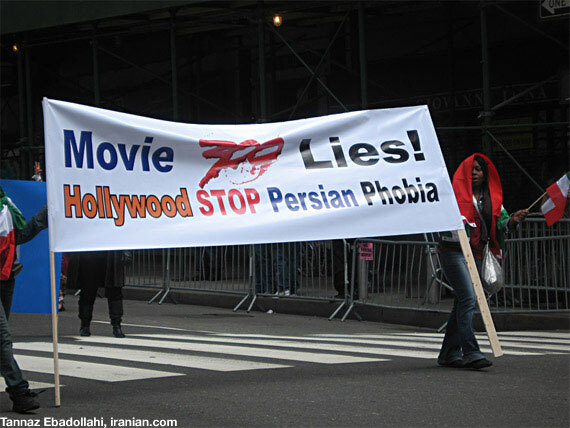 I am sorry to say, as if the Iranians in Europe are all dead!!?? I included!